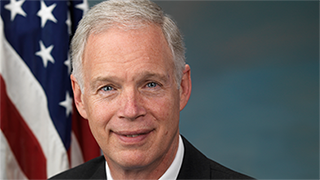 Senator Johnson came to Washington because the federal government is bankrupting America. He believes huge deficits, slow economic activity, high unemployment and inadequate job creation are severe symptoms of the problem – but not the root cause. The ever expanding size, scope and cost of government is. He serves as the Chairman of the Homeland Security and Governmental Affairs Committee, and also serves on the Budget, Foreign Relations, and Commerce, Science and Transportation committees.